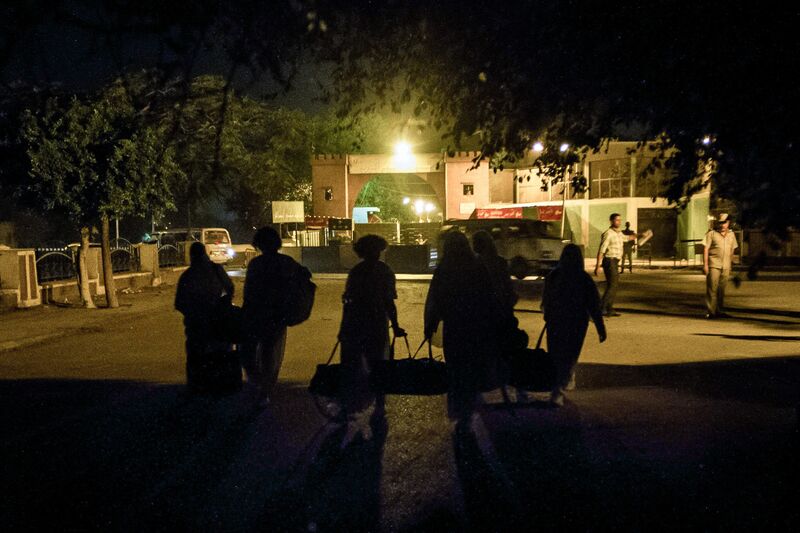 Days pass in unending routine inside Egypt’s women’s prisons; girls become women and some lose hope of ever leaving. After former President Mohamed Morsi was removed from power in July 2013, dozens of women were arrested for political reasons. They come from different backgrounds and have differing political beliefs and stories, but most have psychological scars from their time in prison. Some were beaten, like Sarah Khaled, until she lost hearing in her left ear. Others, like Sanaa Seif, only heard the beating of women in adjacent cells. Time passes slowly, as do the scars that remain. 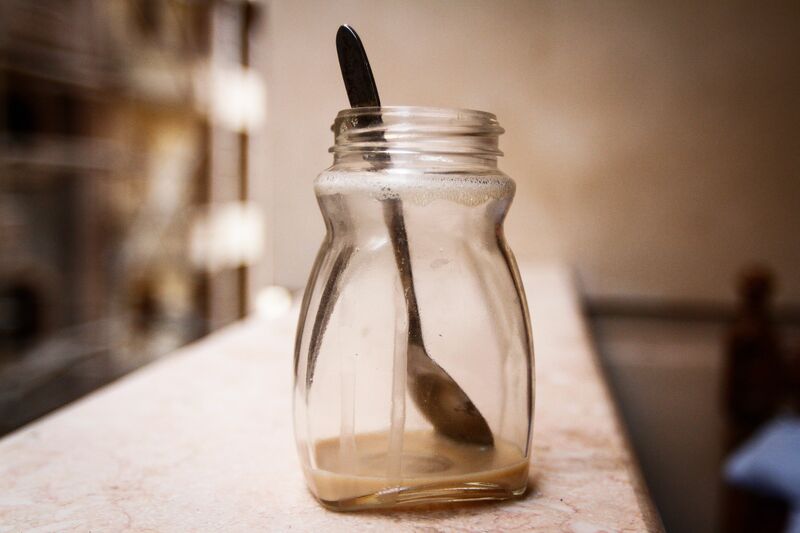 Many women form attachments, like Salwa Mehres, who still drinks her coffee from the contraband Nescafe glass that she hid inside her cell. 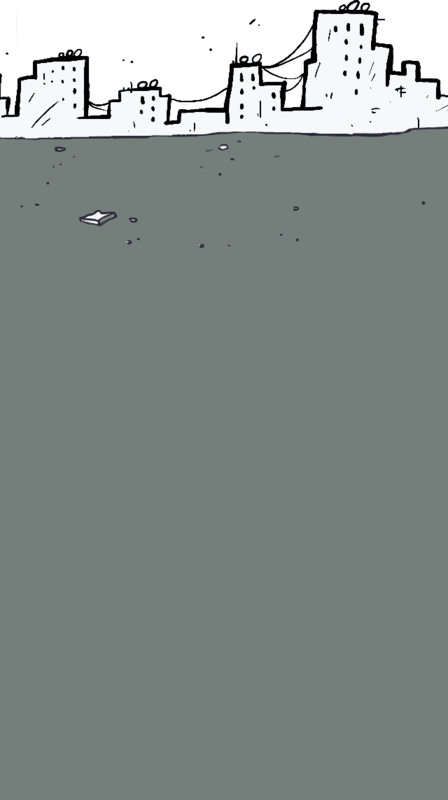 Others find it hard to forget the experience of sleeping on the ground at night, and flitting between boredom and trauma in the day. They know what they looked like before entering prison, but are often surprised on release, because mirrors mostly aren’t permitted. 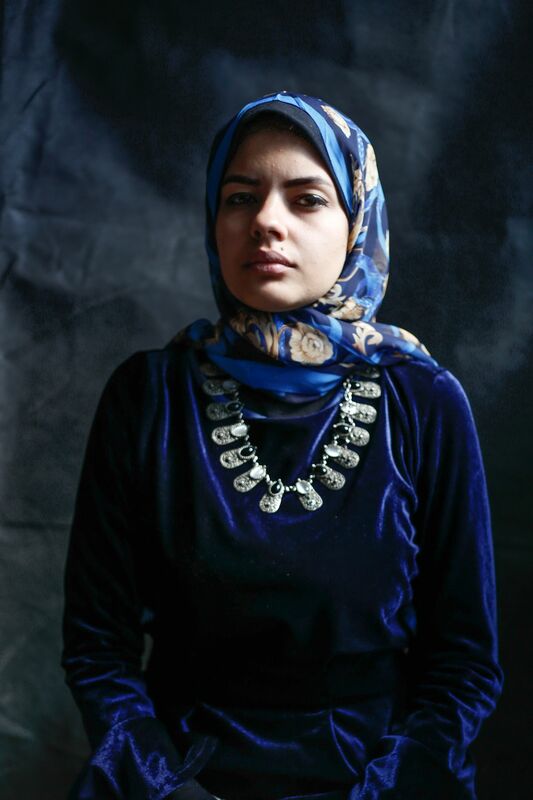 Safaa Hussein was an 18-year-old high school student when she was arrested during a protest. 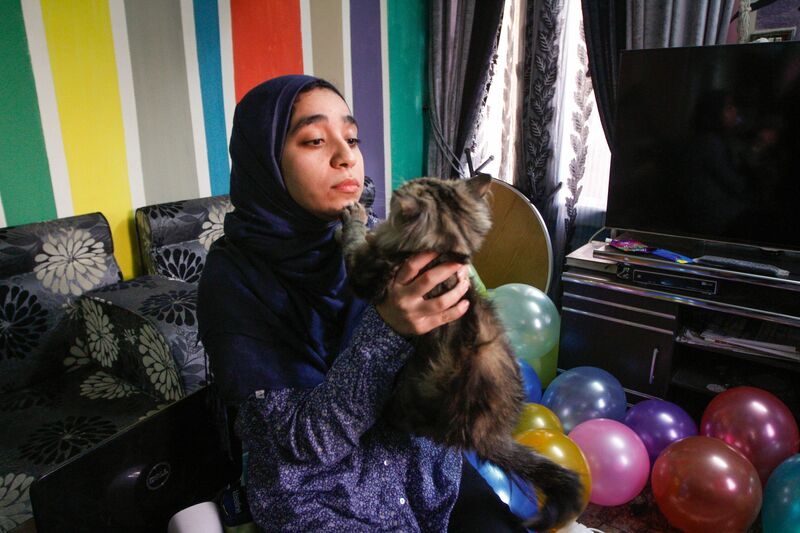 The prison refused to let her finish her exams, even though she was first in her class, and she was expelled from Al-Azhar when she was sentenced to five years and a LE50,000 fine, though this was later reduced to three years on appeal. Hussein’s mum bought her a doll dressed like a bride. When her friends visited, she had dressed the doll in a white prison uniform. 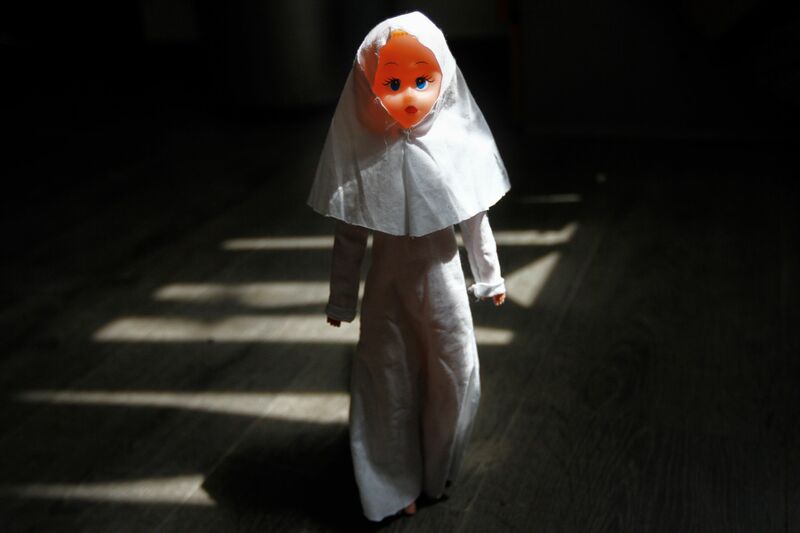 “She told us she named her ‘Horreya' (freedom) and that she wanted the doll to leave prison so she could be free and not captive like her,” her friend recalls. Hussein described her prison conditions to her friends, explaining that she lives in a three by four meter cell with 20 other women. They do everything inside the cell — eat, drink, wash their clothes, and some read. They stay there night and day. The women are in such close proximity to one another that they can hardly move. Sarah Khaled, a dentistry undergraduate at a private university, was arrested for wearing a pin with the Rabea logo on it — a symbol of the pro-Mohamed Morsi protest camp that was violently dispersed in 2013. 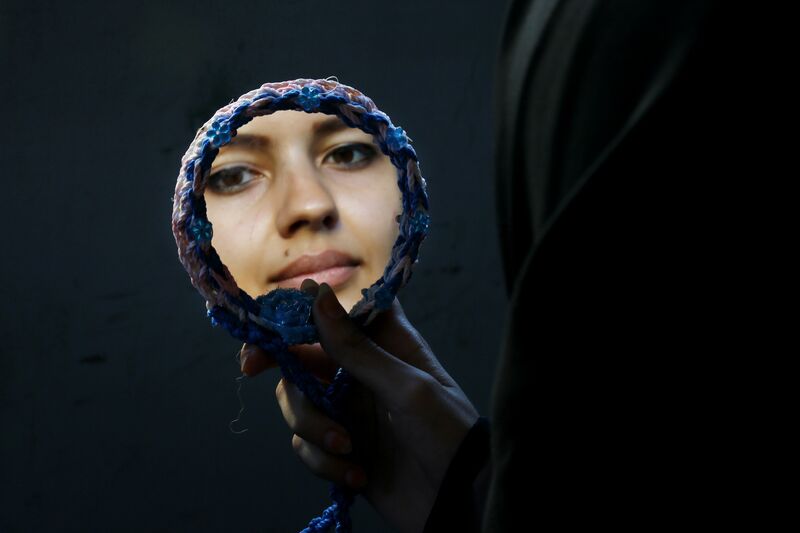 While in prison, she hadn’t seen herself in a mirror for three months. A fellow inmate secretly gave her a mirror that she kept after leaving prison. 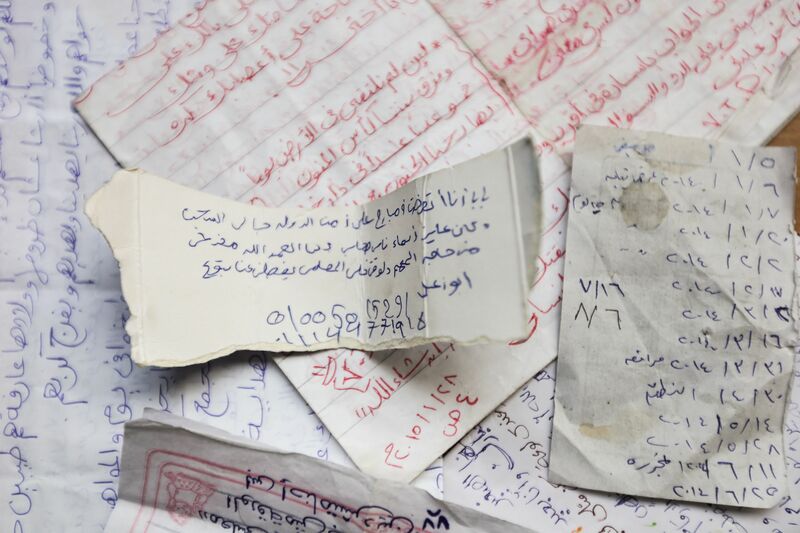 The correspondence received by all inmates is read and censored by prison authorities, leading some of them to bribe guards to deliver secret correspondence with details of their conditions and needs. Sarah Khaled sent a short note to her father on a medication packet telling him she was interrogated by State Security Agency forces and asking him to contact a lawyer. An Alexandria misdemeanor court sentenced 21 women and girls (seven of whom were minors) from the “7 am movement” (formed in October 2013 to protest former President Mohamed Morsi’s ouster) to sentences ranging from 11 to 15 years in jail in one of the first mass trials of women after Mohamed Morsi’s ouster on July 3, 2013. 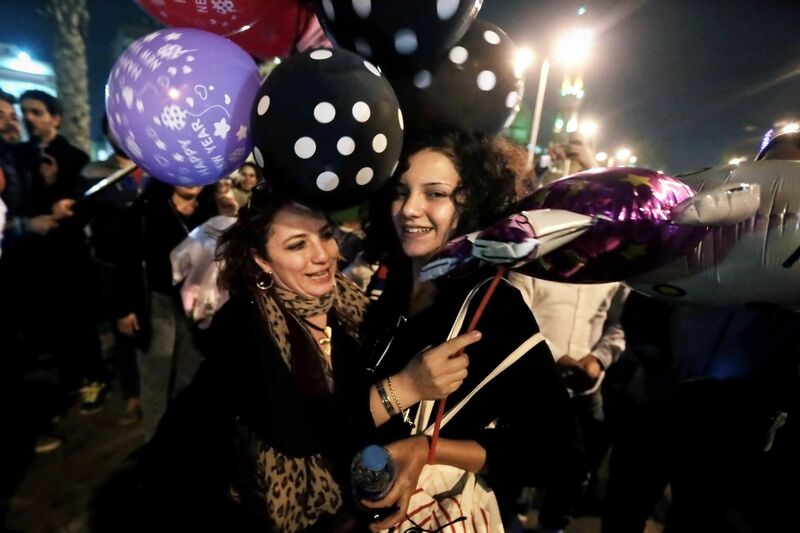 The women were sentenced in November 2013 for taking part in an illegal pro-Morsi protest in Alexandria and convicted of thuggery and damage to public property. Their sentences were later reduced to one year on appeal. Asmaa Hamdy, a dentistry undergraduate at Al-Azhar University, was arrested on campus and sentenced to five years in prison for taking part in a protest denouncing the violent dispersal of the pro-Mohamed Morsi Rabea al-Adaweya sit-in. 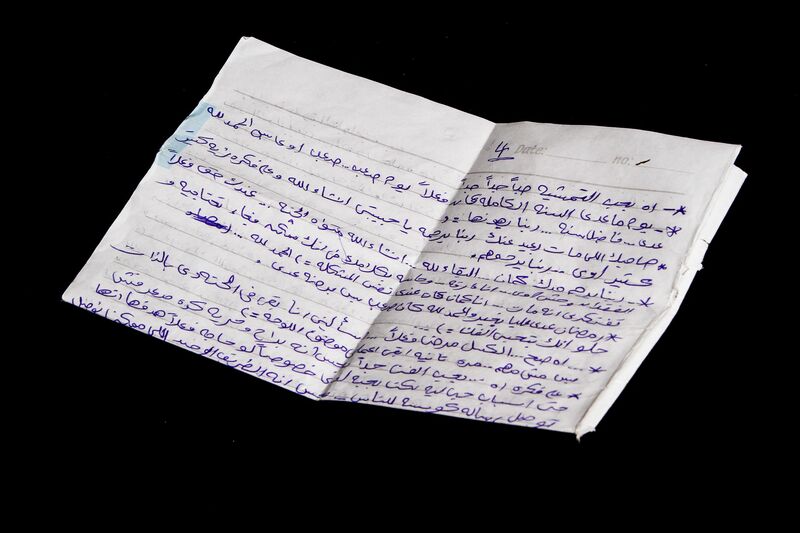 Her fiance Ibrahim wrote to her in prison with promises of them getting married on her release. The letters were her only window to the outside world. She asked him to take a picture of himself writing to her and sent it to her, and she kept both the letter and the photo. Hamdy was released after three years, but Ibrahim had been forcibly disappeared by security forces and his whereabouts are still unknown. 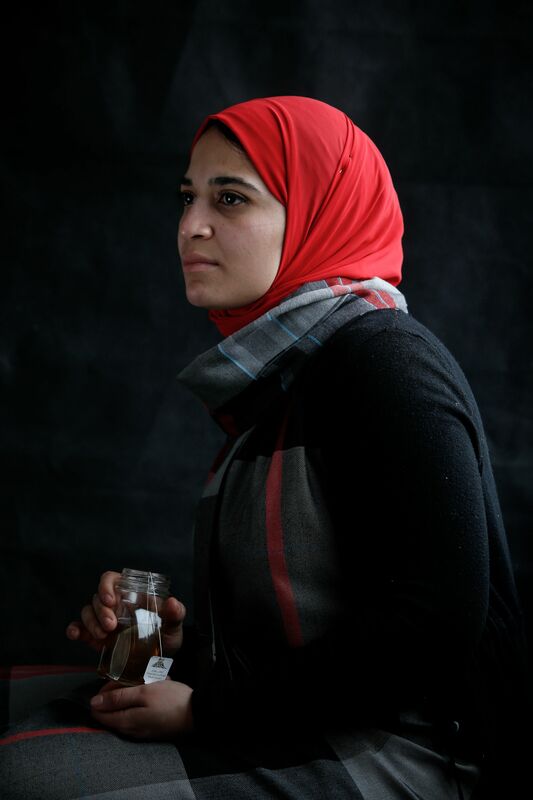 Rights activist Aya Hegazy worked with homeless children, along with her husband Mohamed Hassanein. 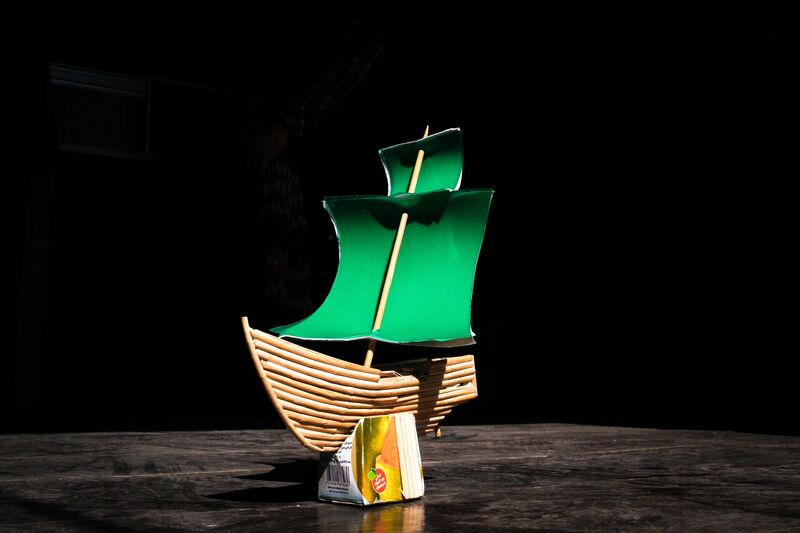 In September 2013 they founded the Belady Foundation for Street Children on Mohamed Mahmoud Street in downtown Cairo. In May 2014, security forces raided the foundation and arrested its staff. Hegazy and Hassanein were charged with exploiting minors and encouraging them to join political protests led by the Muslim Brotherhood and April 6 Youth Movement. 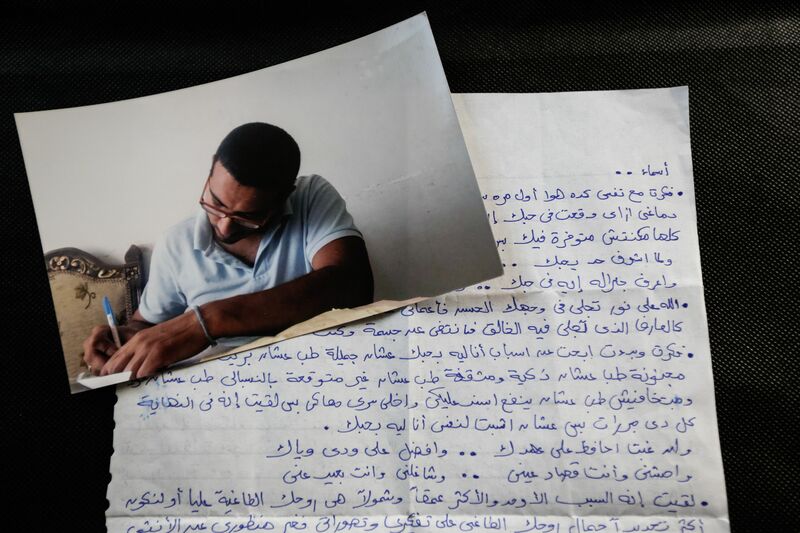 During his detention in Tora Prison, Hassanein assembled something for his wife out of juice boxes, but authorities refused to deliver it to her in Qanater Women’s Prison. The trial has been postponed a number of times, with Hegazy and Hassanein vehemently denying the charges against them. 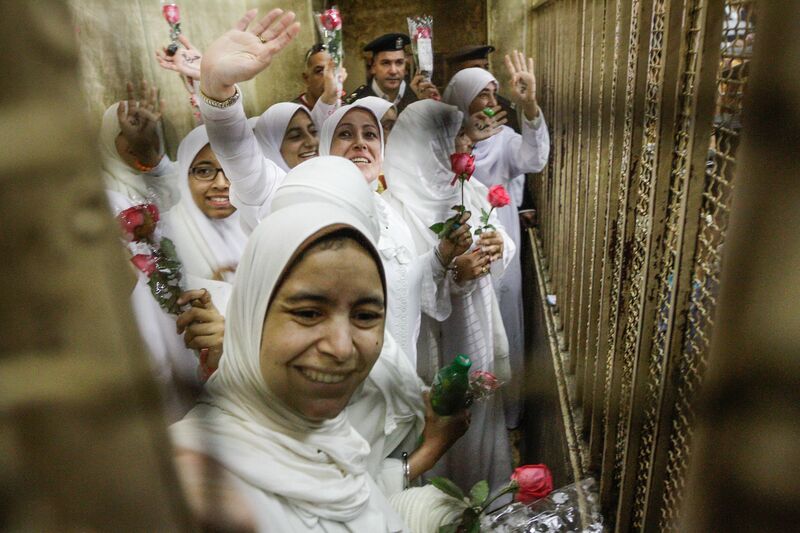 Sixteen women detained for breaking the 2013 protest law walked out of prison in September 2015 after Sisi pardoned them by presidential order. 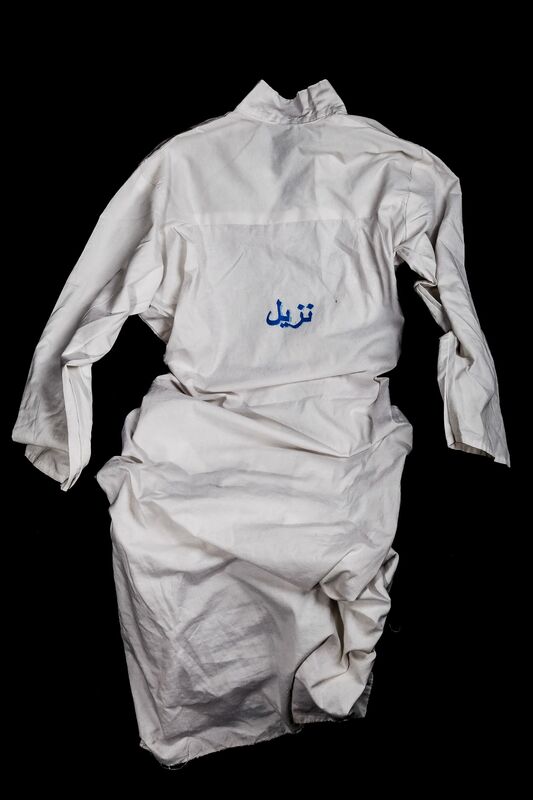 Female prisoners commonly wear a “shewal” — a white galabeya — as decreed by the Interior Ministry in 1998. Many detainees have complained it is too light and doesn’t keep them warm in winter. Some were able to get warmer clothes from outside prison, but authorities often force them to wear the prison clothes as punishments. Esraa al-Taweel was forcibly disappeared in June 2015 by security forces for two weeks, without knowing the whereabouts of her location. She appeared later at Qanater women’s prison, charged with being a member of the banned Muslim Brotherhood organization and spreading false news about Egypt. Cairo Criminal Court later released her on parole. Her cat refused to eat in her absence. 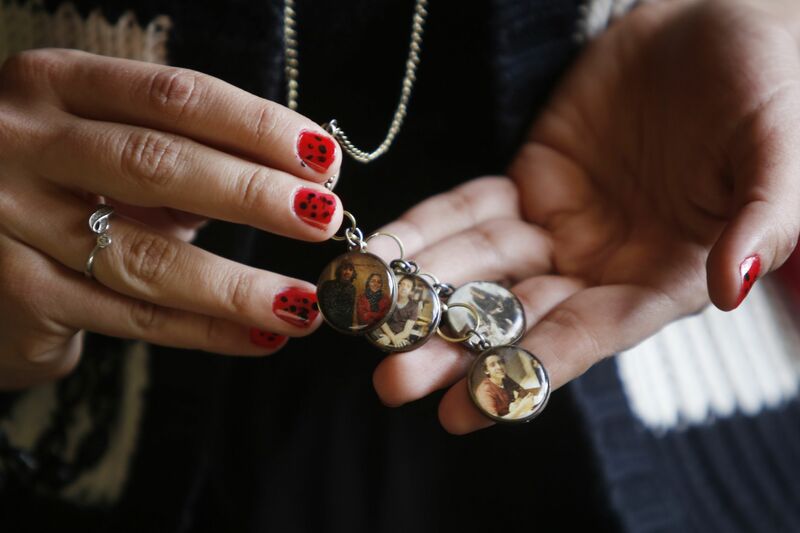 While in prison Esra al-Taweel asked her sister to make a necklace with photos of Amr, her fiancé, who was disappeared and reappeared in military court on charges of belonging to a terrorist group. and sentenced to life imprisonment. Since Taweel was released from prison she has been trying to spread Amr’s story on social media to create pressure to get him out of prison. 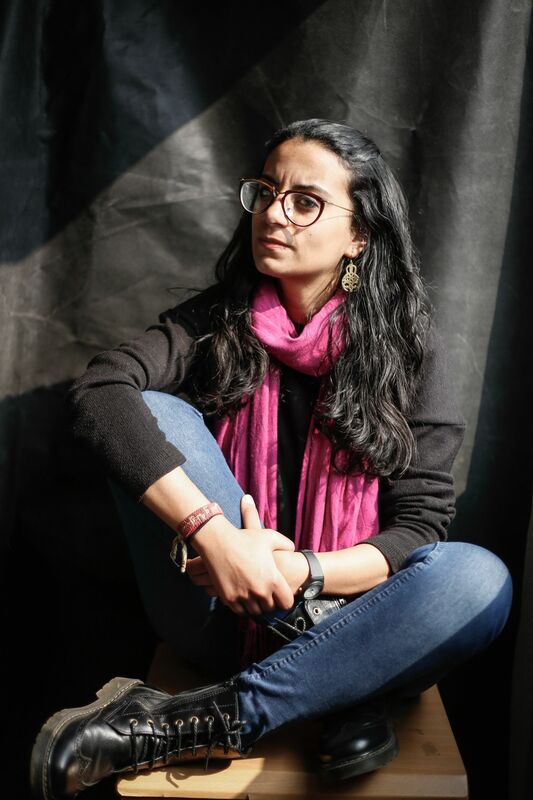 Alexandrian human rights lawyer Mahienour al-Massry was imprisoned in May 2014 for protesting in front of Alexandria Criminal Court in early December during the retrial of police forces accused of killing Khaled Saeed. Her friends sent her pictures of the sea. She wrote to her friend Hend Nafea about sitting on the beach together on her release. Hend is no longer in Egypt and has been sentenced to life in prison in absentia. Mahienour al-Massry’s cell in Abadeya Prison was close to another cell with inmates who had been sentenced to death. 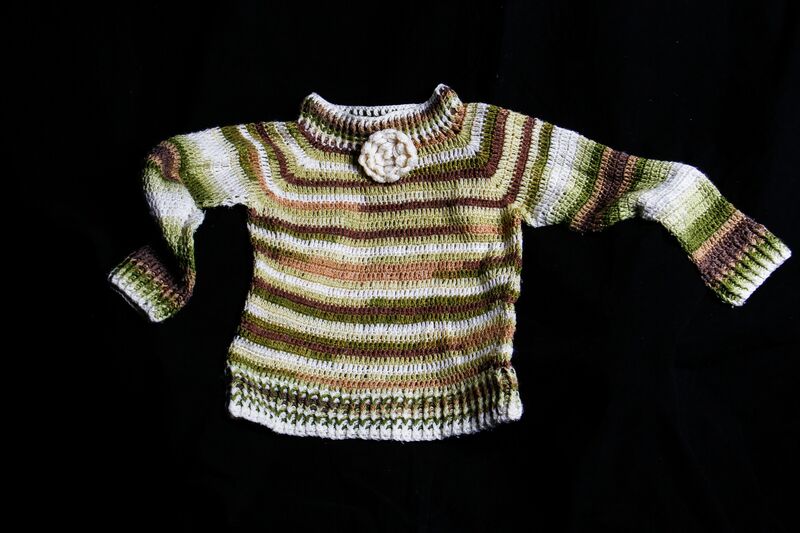 Relationships developed between the two groups of women, with one inmate sentenced to death for murdering her husband giving Massry a teddy bear as a gift. 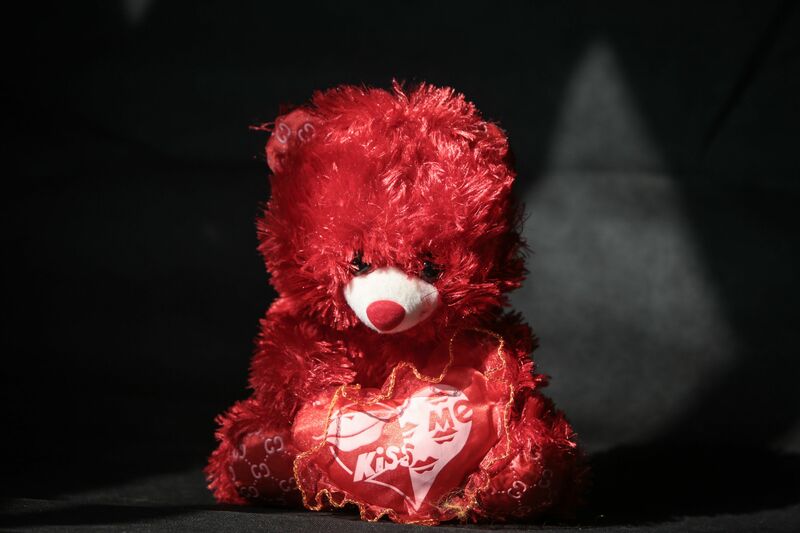 The bear was red, the color worn by inmates sentenced to death, to remind Massry of her friend on release in August 2016. Mahienour al-Massry was held in a cell with a few Islamist women. One of her cell mates, 65-year-old Samia Shanan, was sentenced to death for taking part in violent incidents in Kerdasa, but a court of cassation recently ordered a retrial for her on appeal. 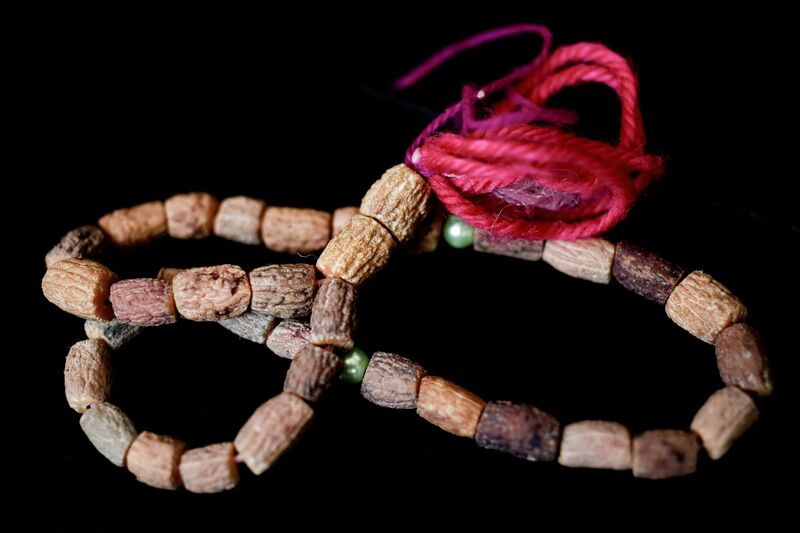 Shanan made Massry a rosary using olive stones. Engineer and political activist Salwa Mehrez took part in a protest in front of Ettehadiya Presidential Palace denouncing the protest law. Salwa was sentenced to three years in Qanater women’s prison for breaking that same law. Political prisoners like Mehrez were not allowed glass cups in Qanater, but she managed to get a glass jar from a criminal inmate. Mehrez was pardoned by presidential decree, but still drinks her hot drinks from a jar after her release. A number of handicrafts made by political inmates made their way outside prison with tags reading, “made in prison.” Some were even sold outside Egypt, prompting prison authorities to deny detainees thread. Political activist Rania Sheikh was arrested for taking part in a protest close to Ettehadiya presidential palace. 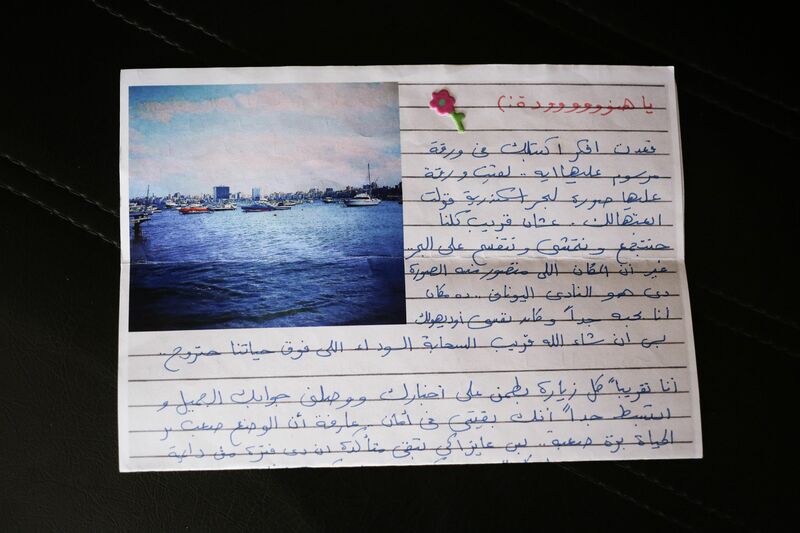 During her detention in Abadeya Prison she wrote letters expressing her longing to take walks outside, which were often censored by prison authorities. Sheikh was released by a presidential pardon. Political activist Sanaa Seif was imprisoned twice. The first time for demonstrating against the protest law and the second time for insulting the judiciary. 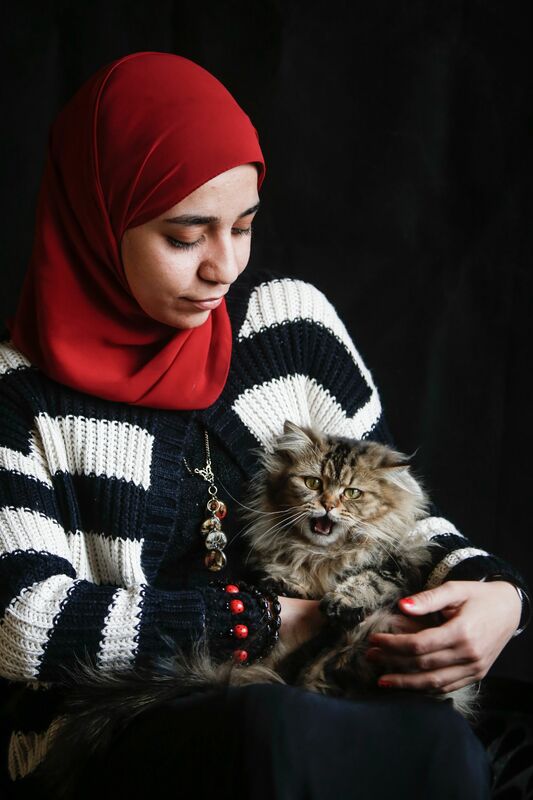 The first time she was pardoned by President Abdel Fattah al-Sisi and released along with activist Yara Sallam and 20 others who were serving time for protesting near Ettehadiya Presidential Palace in June 2014. The second time she turned herself in to the authorities after she was charged with insulting a public official when she refused to cooperate during an investigation in April 2016 in relation to instigating protests against the ceding of land to Saudi Arabia. She was released on completion of her six-month sentence.